Many monuments, memorials and names of institutions across Canada celebrate our colonial and racist past. Calls for renaming buildings or pulling down statues are symbolic ways of reinterpreting that history, acknowledging mistakes and small steps towards reconciling with the victims of this country’s policies. At its heart this process is about searching for the truth, a guiding principle that should be shared by both journalists and historians. In an article headlined “Everything is offensive: Here are Canada’s other politically incorrect place names,” Tristin Hopper concludes that “Lester Pearson’s record still holds up pretty well” unlike a dozen other historical figures he cites who have streets, institutions and statues named in their honour. Notwithstanding the National Post reporter’s portrayal, there are compelling historical arguments for renaming the airport, school board, road, college, peace park, civic centre, housing project, schools and foreign affairs headquarters celebrating the long-time diplomat. As I outline in Lester Pearson’s Peacekeeping: The Truth May Hurt, the former Nobel Peace Prize winner was an aggressive militarist and imperialist. There is even a case to be made that the former external minister and prime minister could be posthumously tried for war crimes. In the foreword to my book, Noam Chomsky argues that Pearson abetted war crimes by having Canadian International Control Commission (ICC) officials deliver U.S. bombing threats to the North Vietnamese leadership in 1964. As prime minister, Pearson also had ICC officials spy on North Vietnam for Washington, approved chemical weapon (Agent Orange, Purple and Blue) testing in Canada, ramped up weapons sales to the U.S. and provided various other forms of support to Washington’s violence in Indochina. 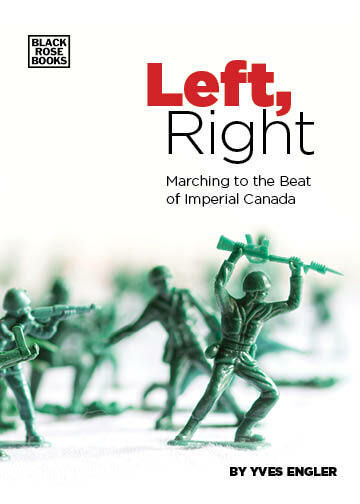 A decade and a half earlier, Pearson aggressively promoted Canadian participation in another conflict that left millions dead. He threatened to quit as external minister if Canada failed to deploy ground troops to Korea. Ultimately, 27,000 Canadian troopsfought in the 1950–53 UN “police action” that left up to four million dead. At one point the U.S.-led forces only stopped bombing the north of the country when they determined no building over one story was still standing. Pearson had a hand in or supported many other unjust policies. During the 1947 UN negotiations over the British Mandate of Palestine, Pearson disregarded the interests of the indigenous Palestinian population. He also played an important role in the creation of NATO, describing its 1949 formation as the “most important thing I participated in.” In the 1950s he backed CIA coups in Iran and Guatemala as well as the violent suppression of independence struggles in Algeria, Kenya and elsewhere. As prime minister in the mid-1960s, Pearson brought nuclear-tipped Bomarc missiles to Canada, supported the U.S. invasion of the Dominican Republic and military coup against Ghana’s president Kwame Nkrumah. Chomsky describes a similar experience with former CBC radio host Peter Gzowski. Happy to have him criticize U.S. foreign policy, the long-time Morningside host became furious when Chomsky said, “I landed at war criminal airport.” Gzowski questioned: “What do you mean?” to which Chomsky responded, “the Lester B. Pearson Airport,” detailing Pearson’s contribution to the U.S. war in Vietnam. In response, writes Chomsky, Gzowski “went into a tantrum, haranguing me for a number of minutes,” which prompted an outpouring of listener complaints. The reality is many people are emotionally tied to the self-serving myths created to justify the actions of important historical figures. But the job of historians and journalists is to seek the truth, not to simply repeat propaganda.